Pool Academy students were delighted to show MP George Eustice around the school when he visited recently. A group of Year 7s were selected to give the MP for Camborne, Redruth and Illogan a guided tour around the school. He was given a glimpse of school life as he was shown the Art, Drama, English, Science and Maths rooms. 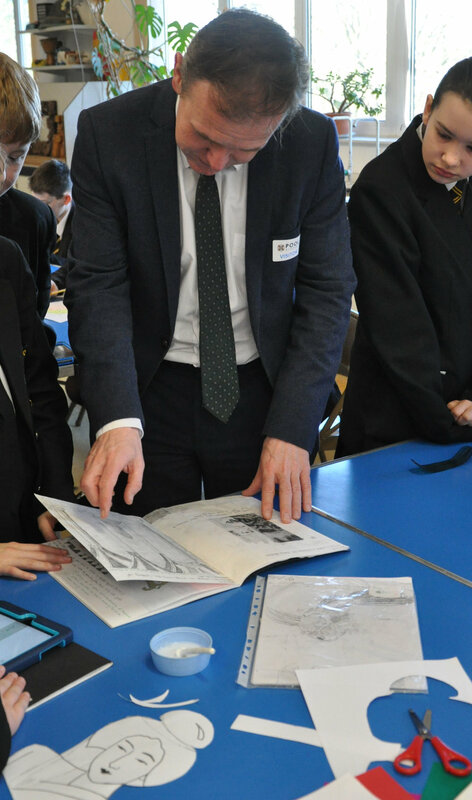 The Year 7 group also had the chance to ask him questions about life as an MP. One student was interested in what he did to reduce his plastic use. His response included the fact he used reusable cups instead of takeaway ones. Mr Eustice looking through student’s art work. Claire Meakin, Pool Academy Principal, said: “It was wonderful to welcome Mr Eustice to Pool Academy and show him around the school. It was very interesting to hear his comments and the students enjoyed getting to know him.